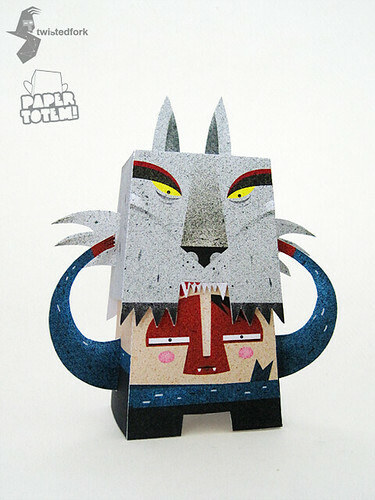 Once upon a time there was a little boy carrying a big bad wolf... check out these magical Paper Totem! 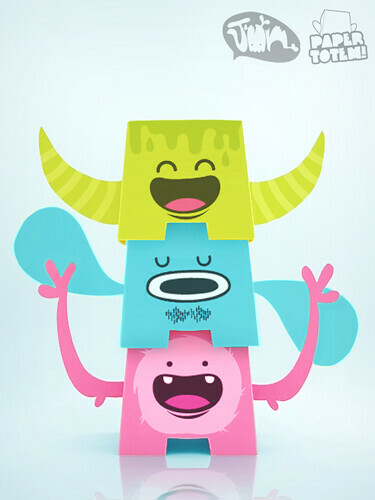 pieces by Philippine designer and illustrator Dan Matutina aka Twistedfork! 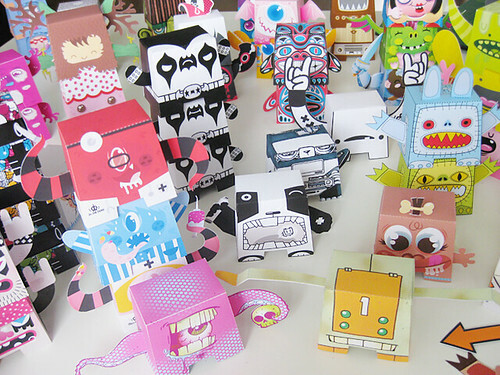 Dan creates truly inspiring artworks with a focus on shapes and textures. 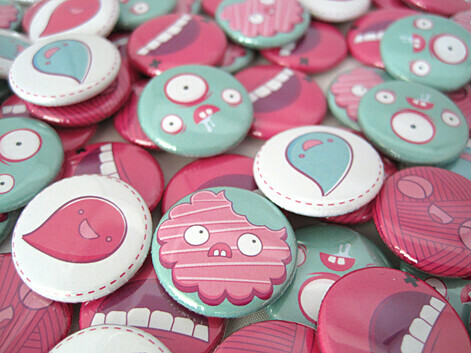 Do you like cookies, monsters & balloons? Who doesn't! 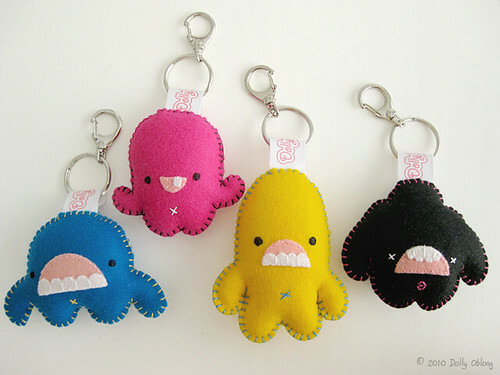 :) New yummy pin-me-on creatures are now waiting for you at dollyoblong.bigcartel.com So badges, badges get y'r badges! 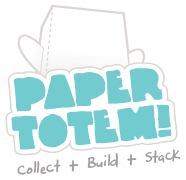 Next stop on the Paper Totem! 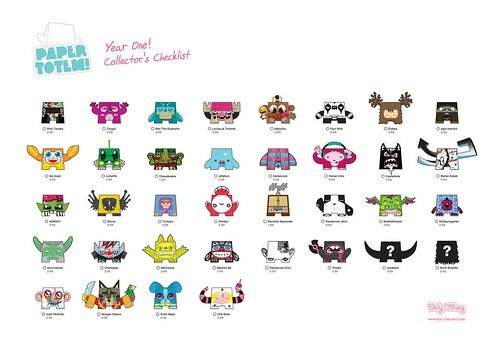 track are these funky fresh pieces by awesome Mexican artist Jonatack! 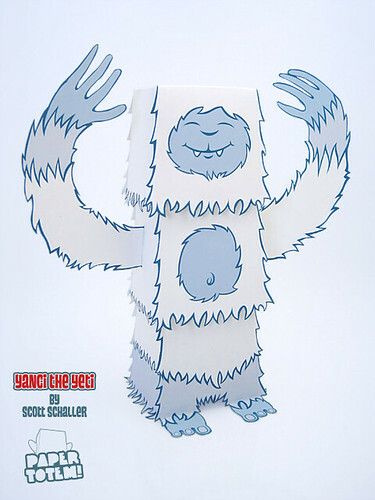 Jonatack is the genius behind a magical world full of simply wonderful characters which he creates on all sorts of surfaces and in a rainbow of colours. 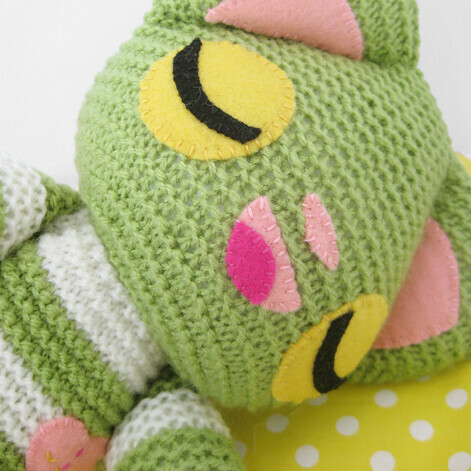 Have a glimpse of these creatures here! n. An object or figure, deviating from a square, circular, or spherical form by elongation in one dimension. 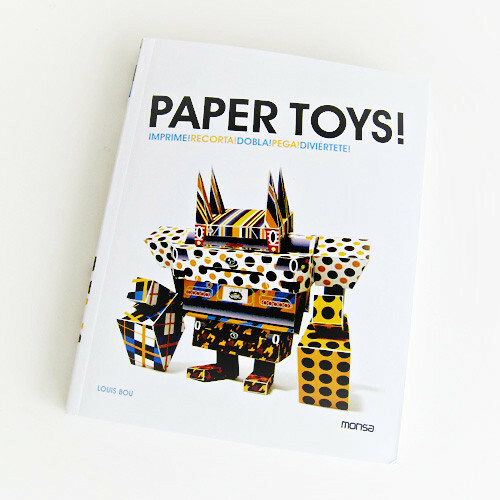 Today it's exactly one year since the launch of the Paper Totem! project, and it has been quite a year: with 99 unique designs, 36 brilliant artists from around the world and over 133729 downloads, the first totem year has gone far far beyond my greatest expectations. Thanks so much to all of you involved!